Antonio Rudiger has compared Maurizio Sarri's methods as Chelsea head coach to those of a school teacher. The Italian's future as Blues boss is under scrutiny following heavy losses at Bournemouth and Manchester City - the latter 6-0 defeat Chelsea's worst in 28 years - and faces a difficult period ahead. 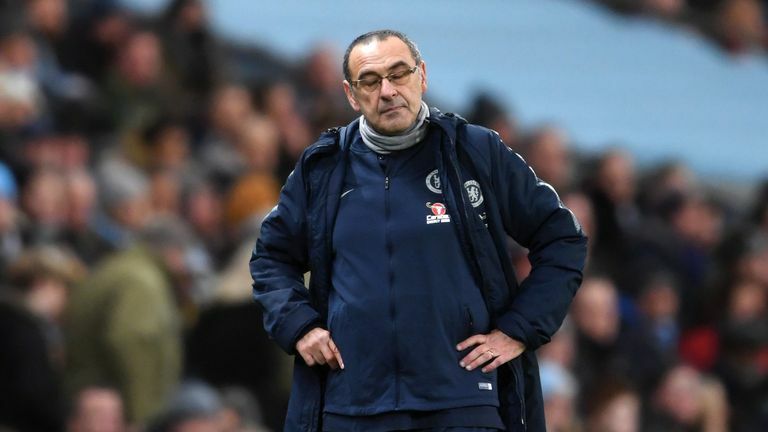 Supporters' scepticism was voiced with an expletive-laden critique of 'Sarri-ball' - the possession-based style Sarri favours - in Monday's 2-0 defeat at home to Manchester United in the FA Cup. 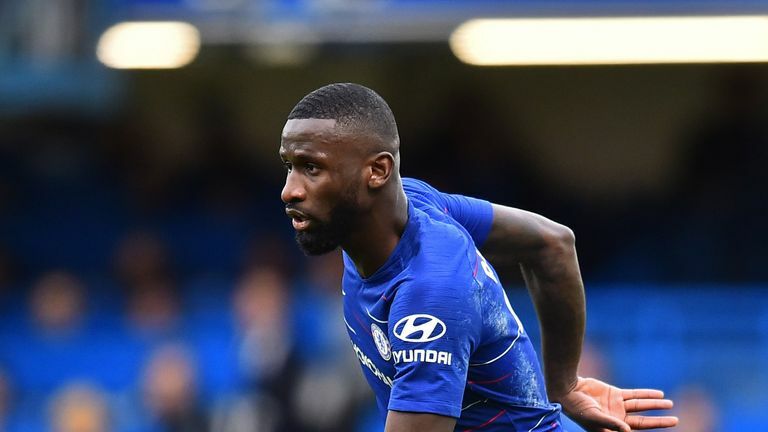 Sarri has introduced training on a match day, with Germany defender Rudiger downplaying the physical effects of the additional session, while admitting to the psychological challenge, as Chelsea prepare for crucial games against Malmo in the Europa League on Thursday and the Carabao Cup final with Manchester City on Sunday - live on Sky Sports. "It's not like we are doing box-to-box runs. It's not physical, it's just the tactical things he likes to do," said Rudiger. "It's the same if you sit in the school the whole time listening to someone. At the end of the day you have to do your job." Chelsea hold a 2-1 first-leg advantage going into their last-32 tie with Malmo but Rudiger admits Sarri's side face a day of reckoning at Wembley on Sunday. "First of all, let's speak about the game tomorrow [Thursday] because it's important for us to stay in this competition and fight to win it," he added. "Then, on Sunday, a big game against City at Wembley. That will show the truth. That will show our way this season. "The truth in terms of keeping up with opponents like City, and also Liverpool and Tottenham. "You always play for your manager, but you want results. You want to win. No player on earth likes to have the kind of run we've had."